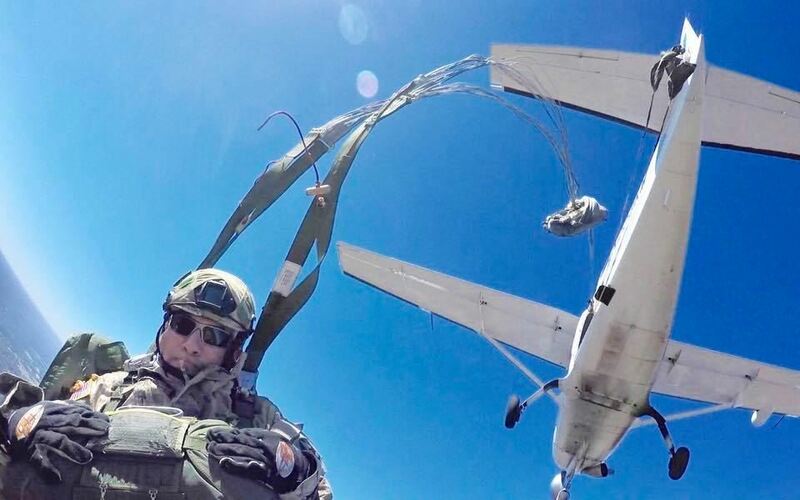 0730 -1800 - Jumpmaster refresher and standardization for current jumpers with JM training and experience. Proof of JM training required. Topics include - Review of RCPT-USA ASOP, JMPI standardization, DZSO communication and procedures, Release point spotting practice, Actions in the aircraft, Review of Lessons Learned, Basic Course instructors rehearsal, synchronization of upcoming events. Total cost for the course is $375 (for current members), which includes professional instruction, a reference manual, parachute rental, 3 repacks from our on-site rigger service, and 3 lift tickets on the Cessna 182 or Kodiak. After completing the first jump course, you will receive a RCPT-USA Certificate of Completion. Total cost for the course is $450, which includes professional instruction, a reference manual, parachute rental, 3 repacks from our on-site rigger service, and 3 lift tickets on the Cessna 182 or Kodiak, as well as RCPT-USA Annual membership. After completing the first jump course, you will receive a RCPT-USA Certificate of Completion. 25 October 2018 - 0730- 1700 - Refresher Course for Troopers who have been to a Basic Airborne course, but have not jumped in the last 180 days (or 18+ years!). This 8 hour course will update the jumper on current SF-10A parachutes and jump procedures, to prepare them for a jump at the end of the course. The course price includes professional instruction, a reference manual, jump fee, parachute rental, and parachute repacking. 25 October 2018 - 0730- 1700 - Refresher Course for Troopers who have been to a Basic Airborne course, but have not jumped in the last 180 days (or 18+ years!). 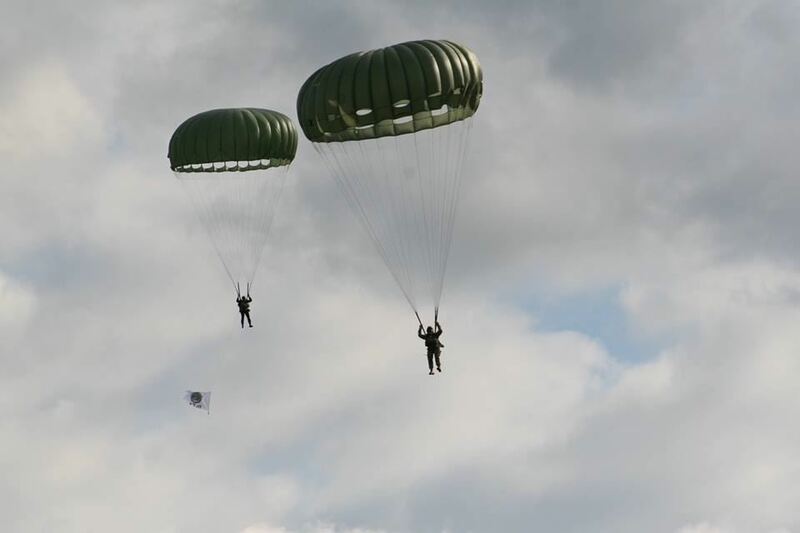 Basic Round Canopy Jump Course -$450 ($375 for Members) 23-25 October 2018 - This 3-day course teaches the basics of jumping with a military static line steerable round parachute. It is for those with no previous parachuting experience, experienced skydivers who have not jumped with a round parachute before, and those with previous round canopy experience who desire recurrency training after a long break in service or who simply want to learn. You will be instructed on the use of the SF-10A parachute, currently in use with the US Army as part of the MC-6 parachute system. Instruction will include equipment familiarization, actions in the aircraft, actions during descent, landing techniques, the basics of canopy control and emergency procedures. After completing ground training, you will conduct 3 jumps from a Cessna 182 or Kodiak at 1,500 feet AGL. Total cost for the course is $450, which includes professional instruction, a reference manual, parachute rental, 3 repacks from our on-site rigger service, and 3 lift tickets on the Cessna 182 or Kodiak. After completing the first jump course, you will receive a RCPT-USA Certificate of Completion.